Hong Kong the most visited city in the world by international tourists. A visa free city for many and a China getaway city. Though it’s technically part of China, Hong Kong has its own culture and personality. The cosmopolitan city is spread out over several small islands, many of which are very densely populated and full of incredible attractions, restaurants, and shops. 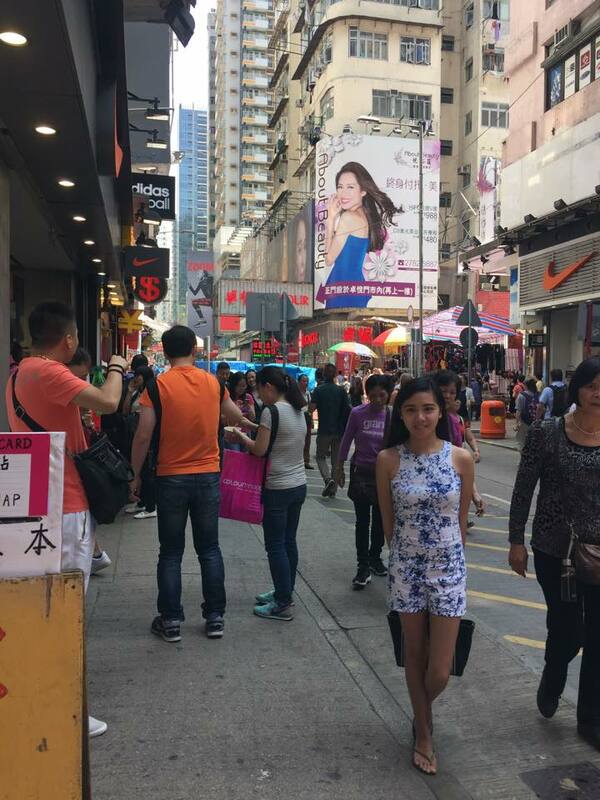 Hong Kong is a shopping paradise which brings together all the world famous brands. Shopping malls, department stores, and boutiques cluster around the island. From gorgeous hiking trails in the mountains to bustling night markets, here are some of the real best things to do in Hong Kong. Few visitors will have problems getting around in Hong Kong, English is widely spoken and almost all the street signs are bilingual. The Octopus card, is a prepaid debit card that can be used to pay public transportation, as well as for items in convenience stores, supermarkets, restaurant chains such as McDonald’s and many vending machines. Paying for public transport with an Octopus card usually results in a discounted fare. 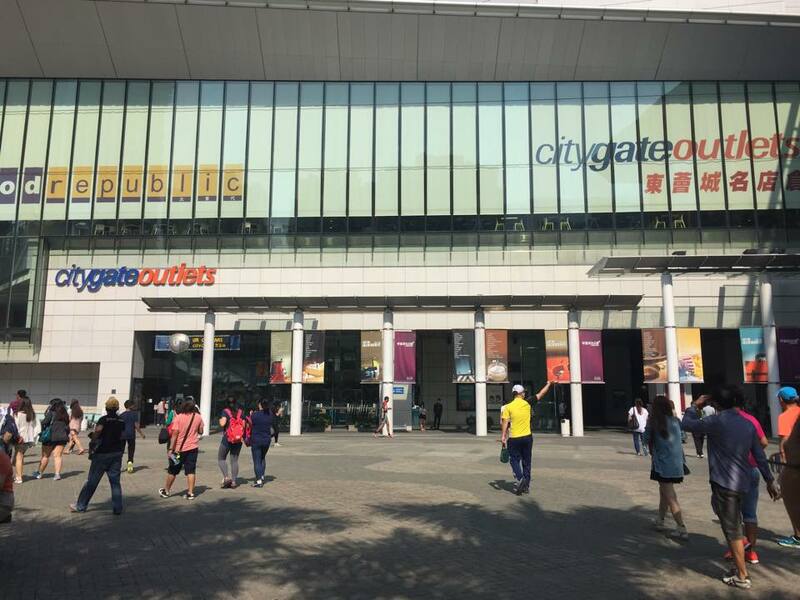 Additionally, some chain stores offer discounts for paying with Octopus card. Hong Kong’s Mass Transit Railway (MTR) is the fastest way to get around, but i does not offer the views of buses and trams and is more expensive. There are three types of bus available in Hong Kong, operated by a multitude of companies. While generally easy to use (especially with Octopus), signs in English can be sparse and finding your bus stop can get difficult. Timetable information for buses are heavily unreliable, especially those running in Kowloon and New Territories, buses rarely come as the timetable scheduled and you have to wait them for a long period. Buses are pretty much your only option for travelling around the south side of the island and Lantau. 2.) If there’s only one thing you must do in Hong Kong, is to take the funicular up to Victoria Peak, the highest mountain on Hong Kong island, arguably the city’s most famous attraction. 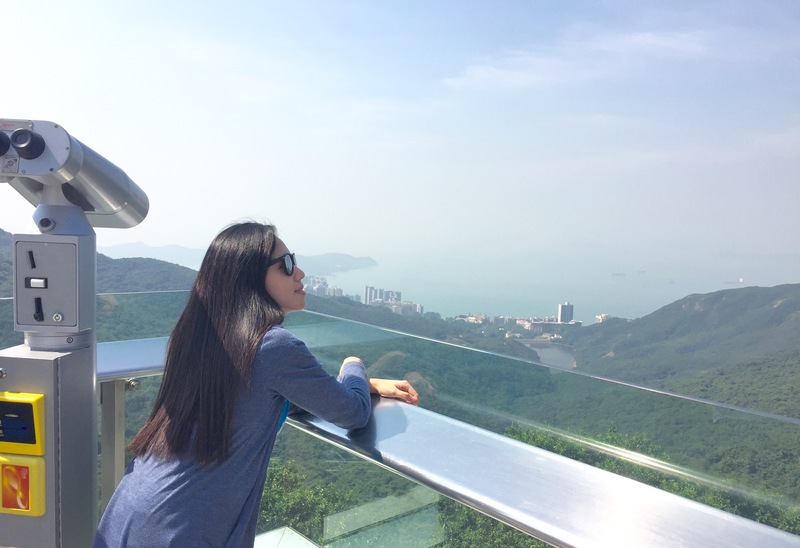 Rising 1,805 feet above sea level, the summit affords breathtaking views of Hong Kong Island, Kowloon, Victoria Harbour, and, on very clear days, Kowloon’s eight mountains. The Peak Tower is one of the most stylish architectural Hong Kong attractions. Inside The Peak Tower, there is a dazzling array of restaurants, shops and entertainment venues set against the beautiful backdrop of the city. Moreover, The Peak Tower boasts the highest 360° viewing platform – The Sky Terrace which offers spectacular panoramic views of the vibrant city. 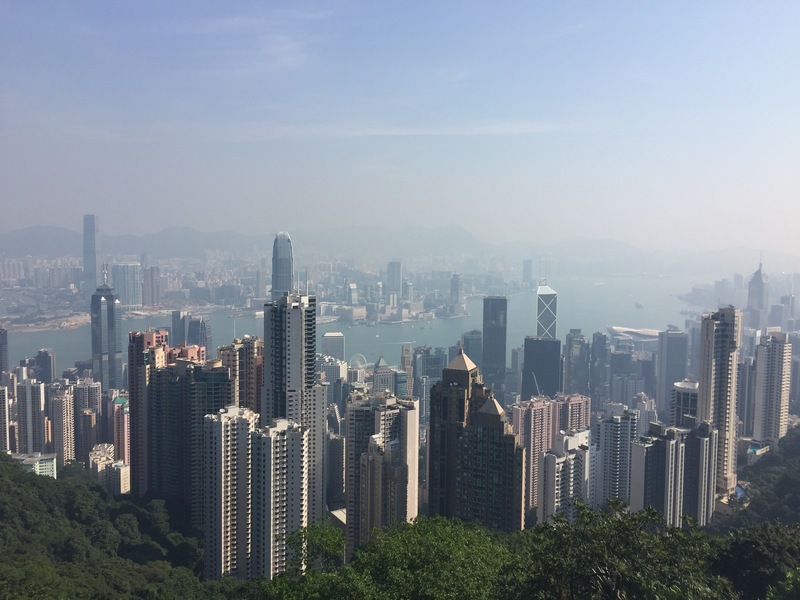 There are several ways to reach the top, but the classic method is a seven-minute ride on the Peak Tram, the world’s steepest funicular railway. There’s an ongoing argument about whether the view is better during the day or at night—see both if you have the time and decide for yourself. 3.) To pay tribute to outstanding professionals of Hong Kong’s film industry, HK$40 million was sponsored for the construction of the Avenue of Stars. 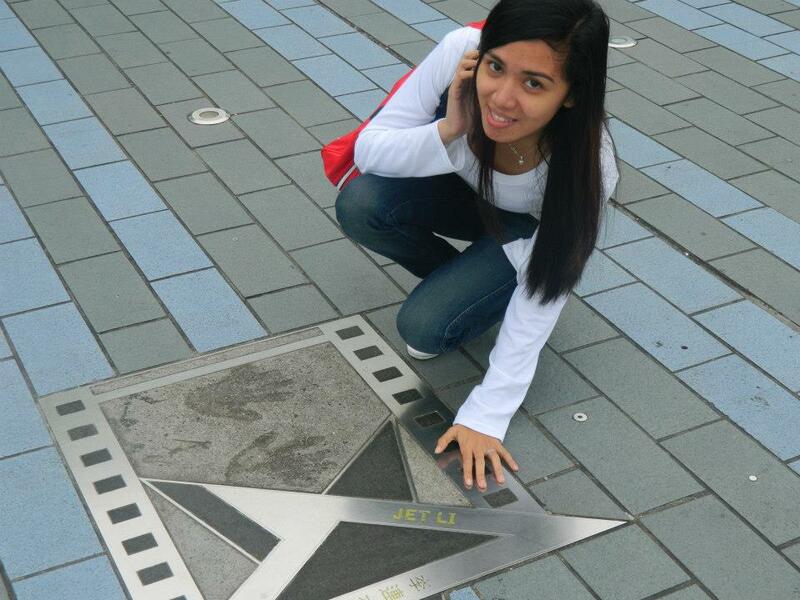 Avenue of Stars is located along the Victoria Harbour waterfront in Tsim Sha Tsui, Hong Kong and is modeled on the Hollywood Walk of Fame. ( It is currently closed till 2018, it will be relocated). 4.) Climb over 200 steps to view the bronze Tian Tian Big Buddha statue. West of the city center lies the mountainous terrain of Lantau Island, a 202-ton statue of the deity. Commonly referred to as the “Big Buddha,” the massive bronze statue is the main attraction here, but there are some other touristy attractions nearby that you can skip. The best way to get to the Big Buddha is to hop on the Ngong Ping 360 gondola, which offers impressive views of North Lantau Country Park, Hong Kong International Airport, the South China Sea, and the surrounding countryside. 5.) Visit historic temples. For all its fast-paced modernity, Hong Kong is still home to historic religious sites that pre-date the British occupation. Man Mo Temple is the oldest in the city, and it is dedicated to the Taoist gods of literature (Man) and war (Mo). Anyone is welcome to visit, but true believers come here to leave offerings and burn incense, while fortune tellers (who are highly regarded in Hong Kong) sit in front awaiting customers. 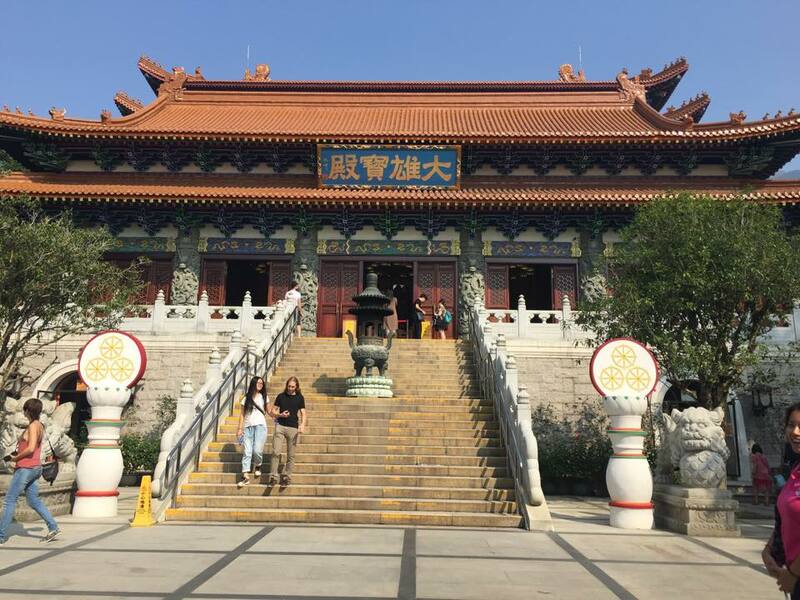 If you want to be dazzled, head to the Ten Thousand Buddhas Monastery in the New Territories, where 500 life-size golden Buddhas sit on either side of the 400 steps you’ll climb to reach the temple. Inside the main temple, there are nearly 13,000 gilded ceramic statuettes, even more than the temple’s name promises. 6.) The Symphony of Lights is the “World’s Largest Permanent Light and Sound Show” by Guinness World Records, has been further expanded to include more than 40 buildings on both sides of Victoria Harbour. A stunning, unforgettable spectacle synchronised to music and narration that celebrates the energy, spirit and diversity of Hong Kong or take the Star Ferry across the water from Hong Kong to Kowloon, particularly at night when you get to see the Symphony of Lights show. 7.) Hong Kong Disneyland is the first theme park inside the Hong Kong Disneyland Resort and is the fifth Magic Kingdom-style park. Located at Penny’s Bay, Lantau Island. 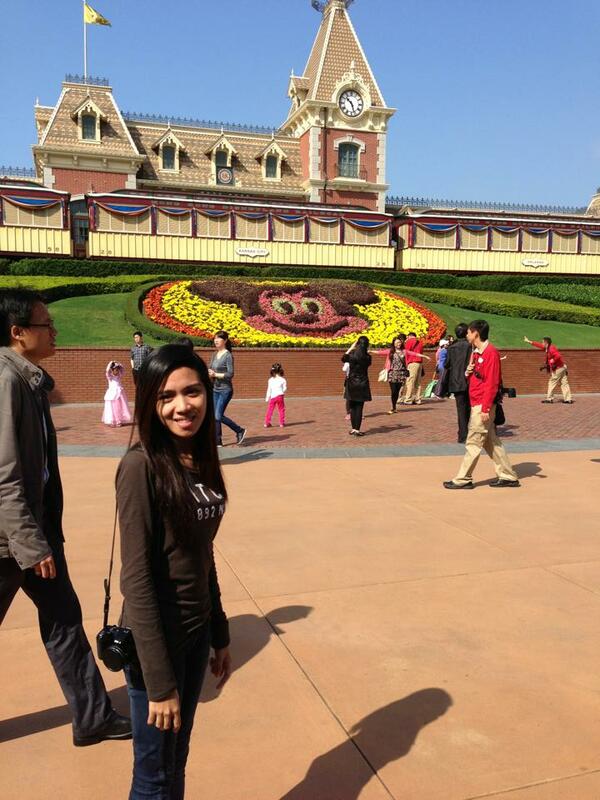 Come & experience the wonderful magical moments with your special ones in Disneyland. 8.) 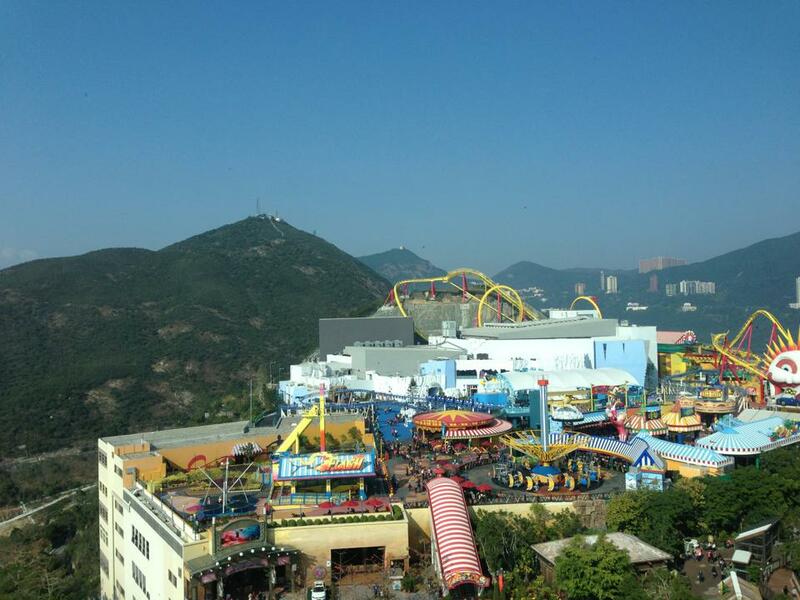 Ocean Park is a major attraction in Hong Kong, any visit to Hong Kong should include the world famous Ocean Park. The park has won several awards, including The World’s Seventh Most Popular Amusement Park and 33rd Most Visited Tourist Attractions in the World by Forbes. Ocean Park has now grown to about 40 attractions and rides. 9.) Hong Kong’s a great city for an adventurous eater. Stop at a street vendor for fish balls on a stick or stinky tofu. Bakeries offer wife cake, pineapple buns and egg tarts. Or opt for as much dim sum as you can eat. Start your day with a dim sum feast of dumplings, buns, noodles and more. 10.) Haggle with a vendor at the Street Markets, a bustling market where you can buy clothes, jewelry and other wares or grab a late night bite at a food stand. Just about anything you could ever want to buy can be found in Hong Kong’s lively street markets. Ladies’ Market, home to more than 100 stalls selling clothing and accessories, and the Temple Street Night Market, where you can find everything from noodles to watches, are the most famous. 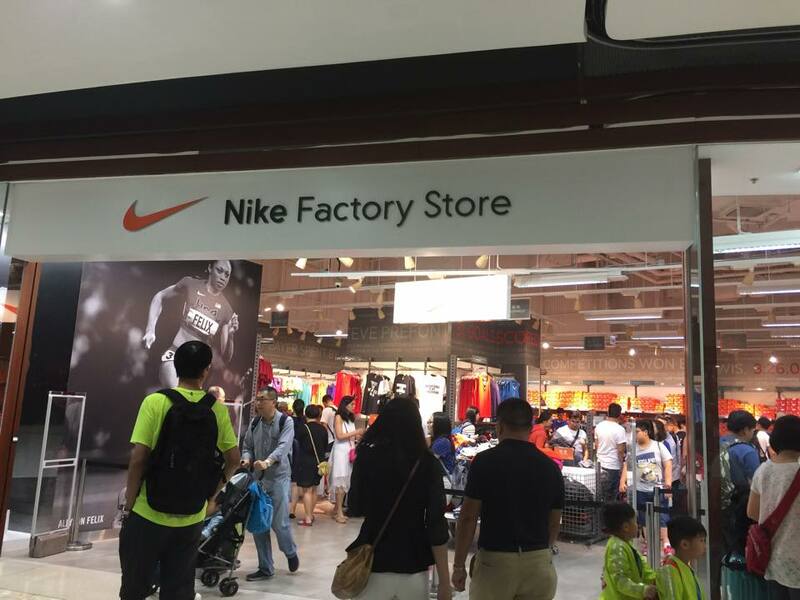 Elsewhere, Cat Street is known for antiques, Apliu Street Market is the place for electronics, and Fa Yuen Street is known as Sneakers Streets. There are also dedicated markets for flowers, goldfish, birds, jade, kitchenware, and more. 11.) Shop ‘Til You Drop- There’s a reason mainland Chinese cross the border to visit Hong Kong, and it’s all about shopping. From the high-end designer stores crowding lower Kowloon and Central to the mazelike malls of Causeway Bay to the seedy environs of Chungking Mansions on Nathan Road, shopping is an important part of Hong Kong’s heartbeat. For one-stop shopping, make your way to Time Square, a gargantuan, twelve-story mall where stores are organized thematically. If time permits, a visit to one of Hong Kong’s tailors is worth buying a garment customized for your body.